Memorial Day is the unofficial kick off to summer for many of us, right? The weather is usually good, there’s cookouts happening and beach trips! 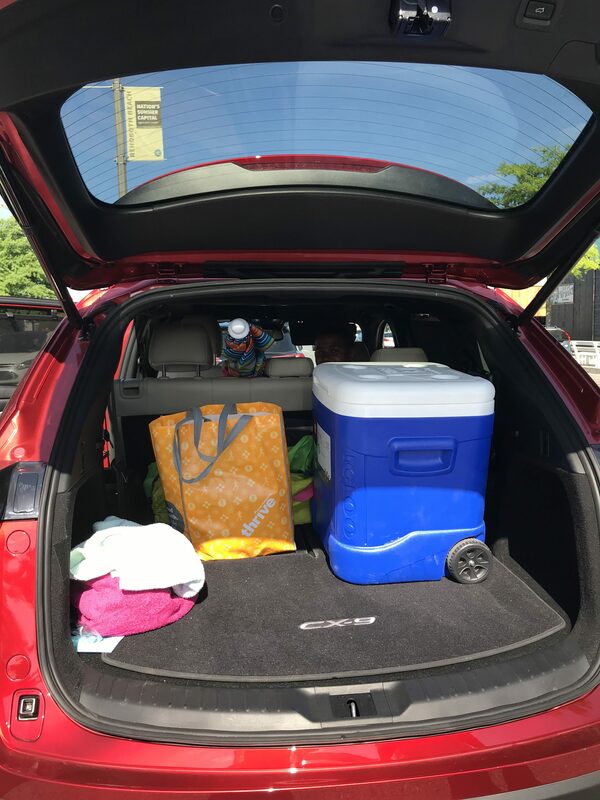 This past Memorial Day we hit the road, in the Mazda CX-9, and headed to the beach! 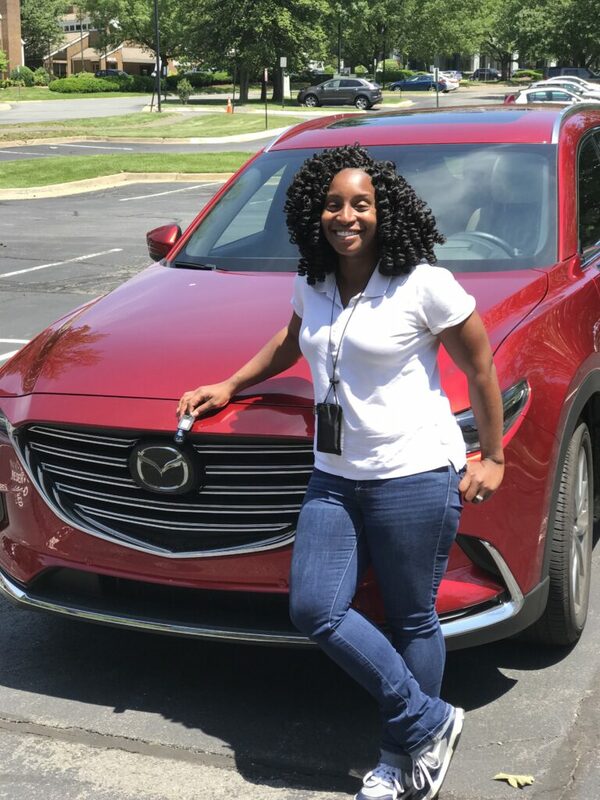 Now we’ve made the trip before but got some extra comfort and perks in the CX-9. Now I’m not talking about being on the bad side of this car, I mean the outside. I mean it is the first part that catches your eye, right? This particular one came in Soul Red Crystal Metallic (Still need to know who has the say on these color names). Now I’m not usually a red girl but this one is a gorgeous shade of red, not like Need for Speed red but either way I loved it and got alot of compliments and questions about the color. Definitely just told a bunch of people it was just red because I couldn’t remember the color name. The front of it is longer than I expected. Not a con, just a thought. 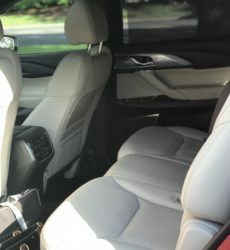 This is where a car really gets you, this is where you notice the details. 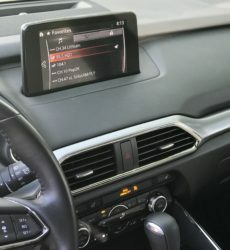 I’m always here for the touchscreen panels to control aspects of the car settings. 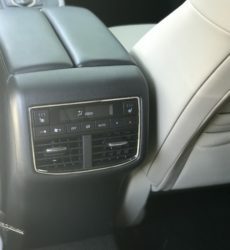 The interior is a cream (sand is the technical color) leather, and has the seat warmers of course. 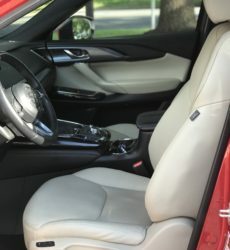 Always feel a little fancy with leather and seat warmers..but never a fan of leather in the summer. 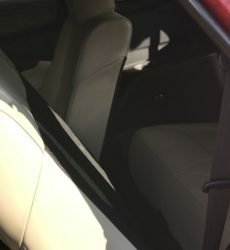 Not to mention I always feel like I’m going to make a mess near anything in that light of a shade leather or not. 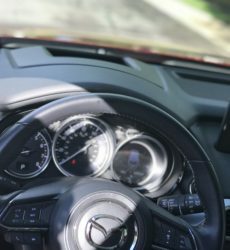 It also had the steering wheel warmer, another feature I didn’t really get to take advantage of but during the winter I’m sure it’s helpful. This isn’t a shocking news reveal but I’m short, so have the automatic seat adjustment where it’s just a push of a button to get the seat height right makes me happy lol. 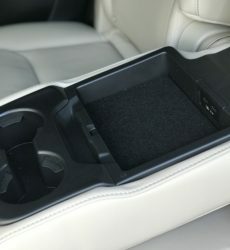 There are USB ports in the console in between the driver and passenger seats, and in the fold down part in the 2nd row! So it’s like you get a port, you get a port, you get a port! *Read that like Oprah giving away her favorite things lol*. But my son really thought that was cool even though he didn’t remember to ever bring his cable in the car. 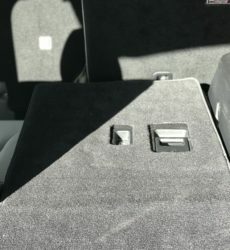 There was also the part where he could control his AC from the back, so we could turn it up in the front and he’d turn his off lol.